What is the premature aging factors? Of course, one of it is time, as we grew older, our skin changes. Some of the other factors are such as sun exposure, repetitive facial movements, pollution and also smoking. Mary Kay scientists spent years uncovering ways to help with this problem. They conducted and test on over 200 consumers and over 150 formulas to create this skincare line. The result? A skincare that can help your skin protected from environmental and lifestyle skin stressors in a simple skincare regime. 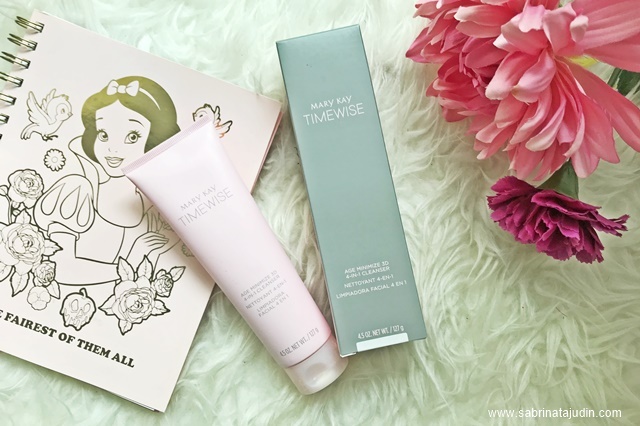 There is where TimeWise® Miracle Set 3D™ is introduced. It takes three-dimensional approach to the skin which are DEFENDS, DELAYS & DELIVERS. Powerful ingredients such as Encapsulated resveratrol that provides triple antioxidants benefits and helps your skin produce natural collagen. As you know collagen keeps your skin supple and healthy. Also formulated with Vitamin B3 which knows as a well known skin brightener and gives antioxidant to your skin. Each regime in the products used have its own feature and formulated to work together and gives you the maximum result. 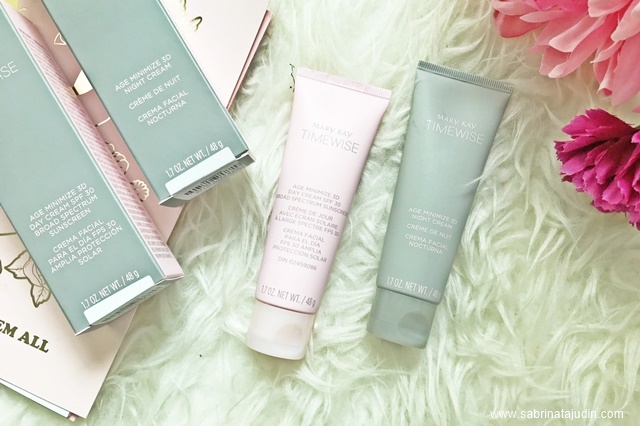 The TimeWise® Miracle Set 3D™ is available in two formulas: normal-to-dry and combination-to-oily. Mine are in normal-to-dry formulas. Now lets get into the simple 1,2,3,4 steps to a youthful healthy skin! Of course! Cleanser is the important starting step in a any skincare routine. You got to make sure your skin is a clean canvas before putting anything else on the skin. This cleansers is very creamy and does not lather that much but it has soft micro beads in it which helps to removes impurities gently without any irritating feeling. 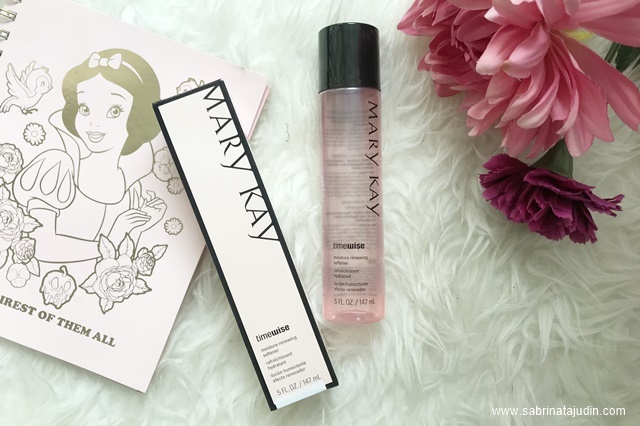 This is one of the best hydrating cleanser I ever tried. It does not leaves skin feels tight or too dry after cleansing. This toner is called a softener. From its name, it does leaves your skin feels softer and hydrated after cleansing. It is an alcohol free toner which provides amazing refreshing feeling after swiping it with a cotton pad. I loveee this toner especially the tube it came with. 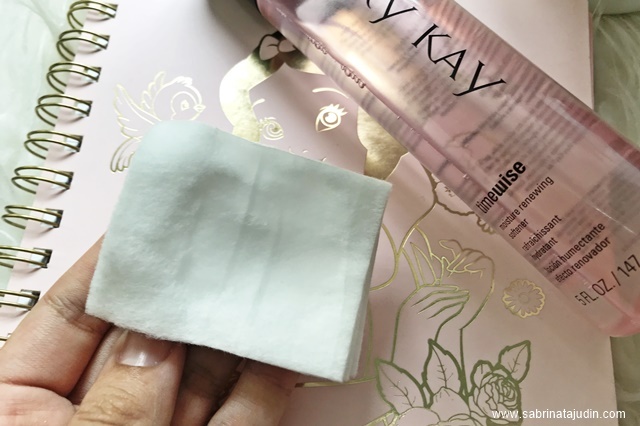 It is structured but I'm able to squeeze the liquid out easily onto my cotton pad without needing to shake it out like most toners bottle came with. It is formulated with Sodium Hyaluronate, to maintain skin moisture & Botanical Extracts, a natural age fighting antioxidants. During day time use the Day Cream. What I love about it is that it provides SPF 30 sun protection. The main thing about pre mature skin aging are mostly cases by sun damage! It has a creamy texture, a little goes a long way. It is pretty hydrating to the skin too. It also provides 12 hours moisture to the skin and gives your skin a youthful look. During night time, use the night cream. 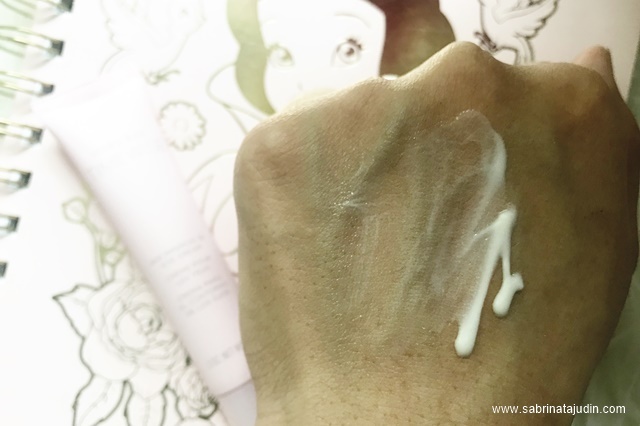 This is a very light gel type moisturizer but still provides amazing hydrating to the skin. I love how it feels like a sleeping mask because on the next day my skin is still hydrated even in an air condition room. It helps to rebuild skin while you are sleeping.It helps your skin moisture-replenishing cream re-energizes skin’s natural, youthful glow and helps reduce the look of fine lines and wrinkles. 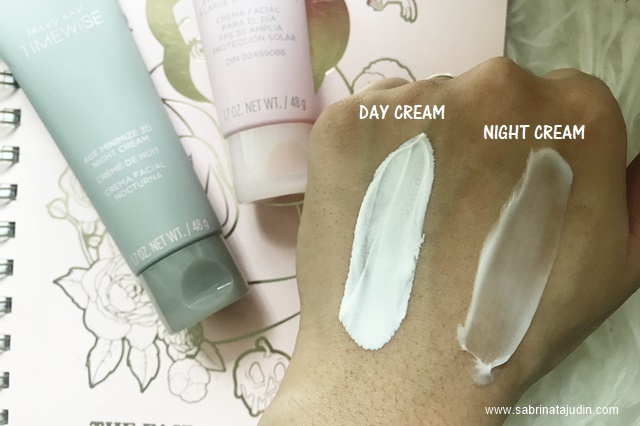 Eye cream that comes in a squeeze tube? A plus for me! 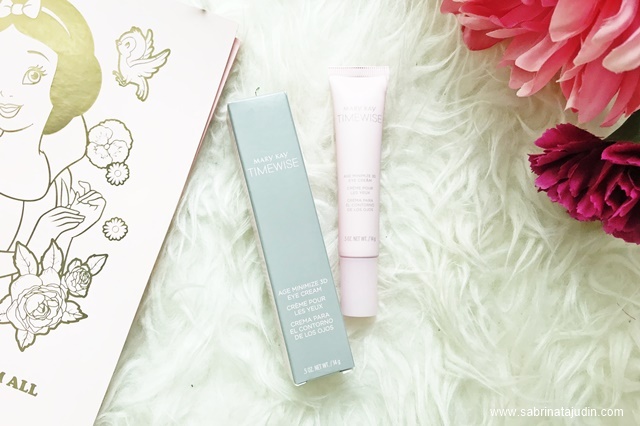 This eye cream helps improve multiple visible signs of aging and fatigue, including the appearance of dark circles, under eye puffiness, fine lines and wrinkles. 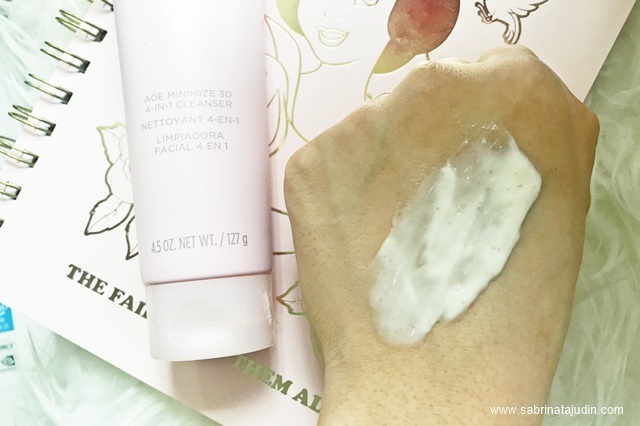 It des absorb within 1 minute and does feels very moisturizing. Also this is an approve eye cream as a concealer base! It helps my concealer not to crease and keeps my eye area hydrated. 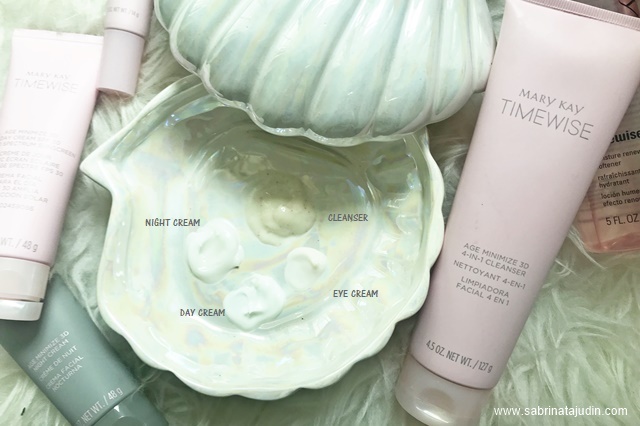 I hope you find this post helpful and find this skincare set a perfect match for you!